Masterson Braunfeld’s practice is general, though concentrated in civil and equity litigation. The firm traditionally counsels healthcare, legal and other professionals in liability matters, as well as in business, administrative and regulatory affairs. Our attorneys represent clients in personal injury, commercial and insurance policy litigation, as well as in employment disputes involving restrictive covenant enforcement and trade secret lawsuits. Andrew L. Braunfeld is a published author and speaker in the Alternative Dispute Resolution field, and regularly serves as a mediator or arbitrator in a wide variety of litigation cases. The firm is located in Conshohocken, Montgomery County’s busiest and most prestigious corporate and professional center. 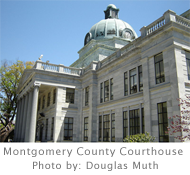 Its offices are convenient to public transportation, the Montgomery County Courthouse in Norristown, and is within easy driving reach of eight neighboring county seats.